Get more posts like this delivered straight to your inbox! Subscribe for free here. 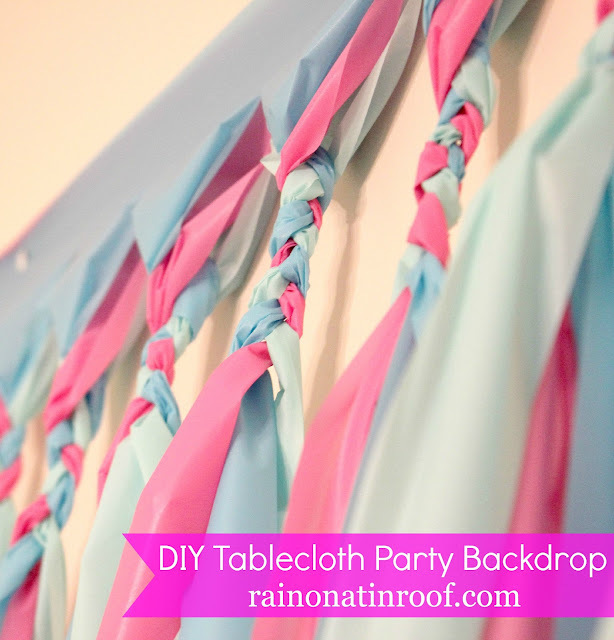 This is Part 2 of How to Make a Party Background. SEE PART 1 HERE. After the first tablecloth is up, open up another one and layer it on top of the first one. I did this by removing one tack at a time, and then putting it back through both tablecloths. Repeat with the third tablecloth. Next, take a pair of regular scissors and cut strips up to about 3-4 inches from the top of the tablecloths. You are going to cut all three tablecloths at once when you cut a strip. I’m sorry, I thought I had photos of this step, but I don’t. I didn’t even measure the width of my strips, I just eyeballed it. They were each probably around 3-4 inches wide. Once all your strips are cut, you are going to braid each set of strips together. Go back to the start of the backdrop. Take your first set of strips (one of each color that you cut at the same time), and braid them together from the top down. You only want to braid down far enough to hold the strips together. You don’t have to start with a certain color and end with another one. Just braid each set together – once more, all the colors will blend together in the end. Here is how mine looked when I braided it after I had cut all the strips. Once you have braided all your strips, you’re done! The white thumbtacks were driving me crazy at the top, so I punched out balloon shapes from pink & blue card stock and put them over the tacks with square photo mounts. See how I put a spin on this backdrop for the kid’s 2nd birthday here! 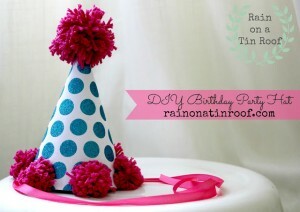 Need more DIY party decorations? 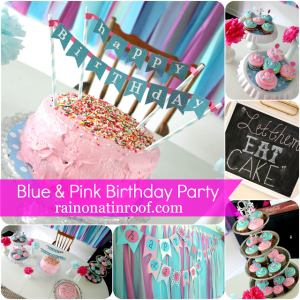 Click on any of the pictures or links below to get ready for your next party! 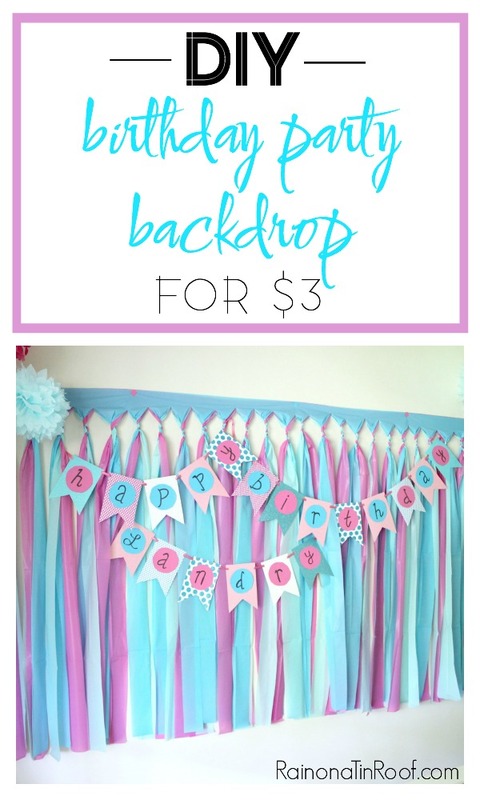 Have you made a DIY party background before? Awesome! I’m so glad it helped you! So glad I stumbled upon this! I’m totally doing this for my daughters party on Sunday! Did you tape the ends if the braids or just let them loose? Hey Marlene! I just left them loose. They didn’t come undone! Omgosh!!! This is so awesome!! I love it.. Ty! Ty! I just love this- thank you for the instructions! 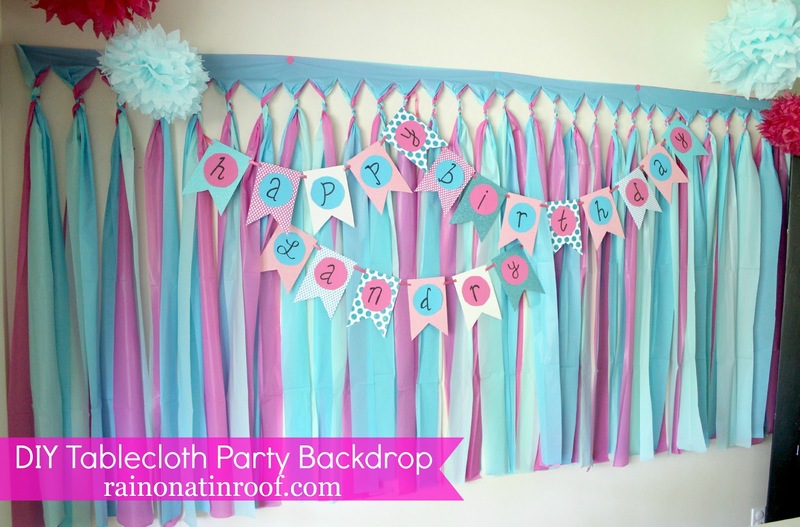 I will be doing this for my daughter’s FROZEN birthday party this weekend… same colors, too! 🙂 Thanks again for posting. Awesome, Aimee! I’m happy it helped you! I’m sure her party will rock! I love this idea! 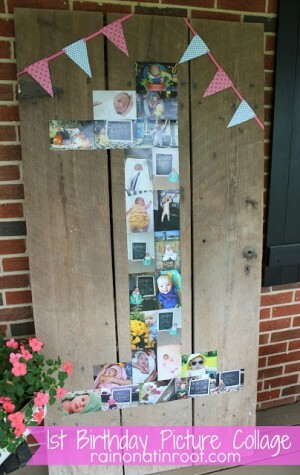 I want to do this for my son’s 1st birthday this October. Is the backdrop kinda heavy? We’re just renting a place out and I’m worried tape might not hold this in place. Hi Cheryl! Its not super heavy, but I do usually use push pins to hold it up. However, I think masking tape may do the job! Is there a way you can make this a day in advance? Hey Tina! You could probably lay it all out in the floor, tape together the top edges and then cut the strips and braid them. Great, Tasha! 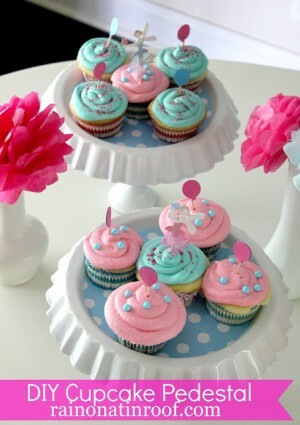 I hope you have a great party! 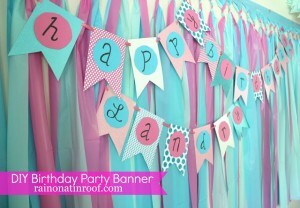 Next week is my daughters first birthday and I already bought the table cloth to make this. Awesome!! I’m sure it will turn out great! 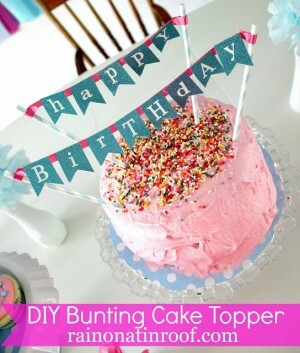 Hi how did you make the happy birthday banner?